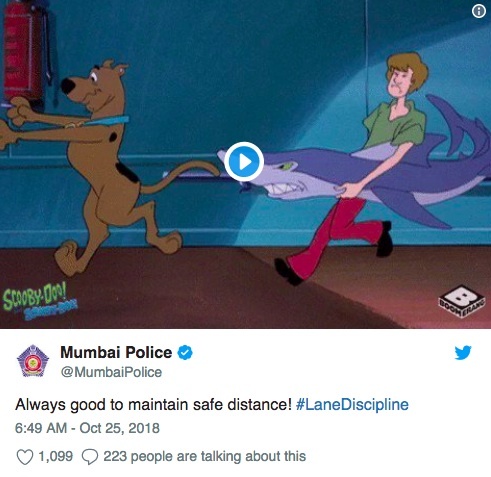 The Mumbai Police Twitter account has become somewhat of a viral sensation thanks to its regular stream of unique challenges, quizzes and pop culture references. 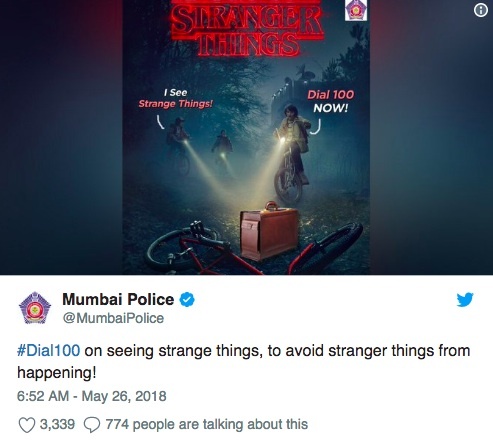 Back in May, the social media team used Stranger Things to remind people to report unattended or suspicious bags to the police, and in July they used the Friends theme song after the region experienced heavy rainfall. 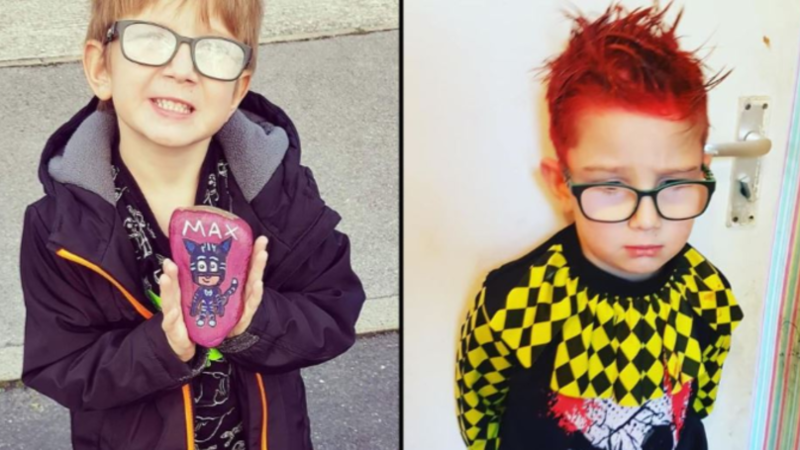 And now they&apos;re at it again, this time using Harry Potter to spread a magical message about road safety. 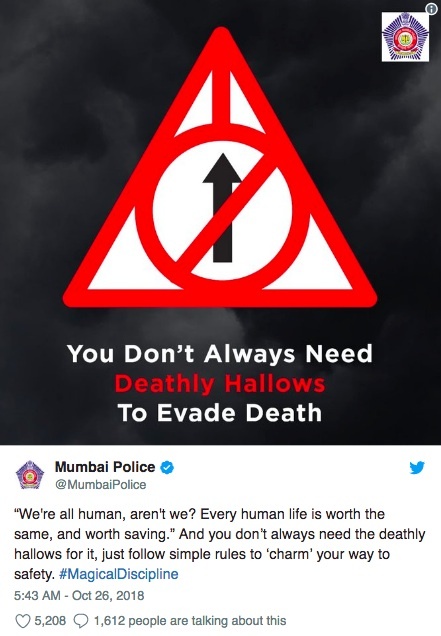 Along with a picture of a road safety sign that reads, "You don&apos;t always need Deathly Hallows to evade death," the Mumbai police force wrote: "&apos;We&apos;re all human, aren&apos;t we? Every human life is worth the same, and worth saving.&apos; And you don&apos;t always need the deathly hallows for it, just follow simple rules to &apos;charm&apos; your way to safety. #MagicalDiscipline"
For anyone who&apos;s not a Potterhead, the quote is taken from Harry Potter and the Deathly Hallows. And it&apos;s certainly had the desired effect, as already thousands of people are sharing, liking and talking about the tweet. 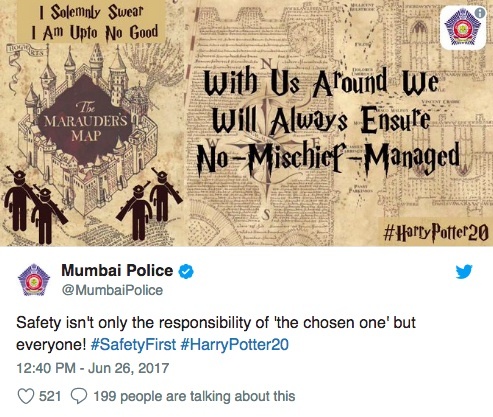 One user wrote, "Wow @MumbaiPolice your social media is top level," while another said, "A Harry Potter reference works everywhere." 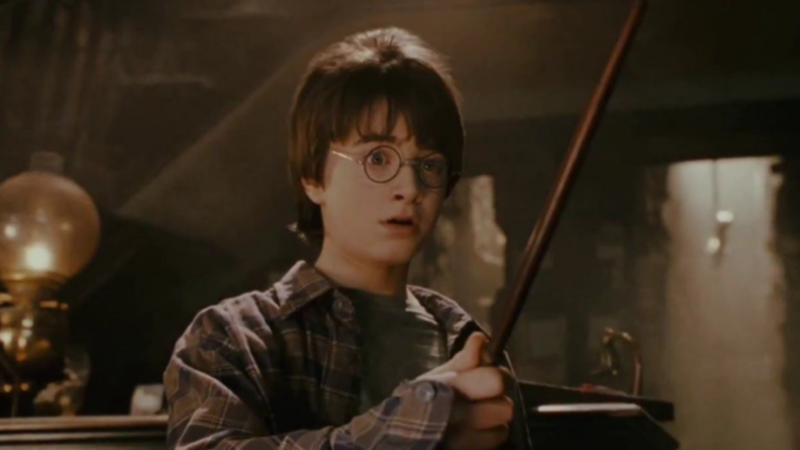 This isn&apos;t the first time they&apos;ve used Harry Potter for the same reason, having previously posted a tweet that read, "Safety isn&apos;t only the responsibility of &apos;the chosen one&apos; but everyone!" 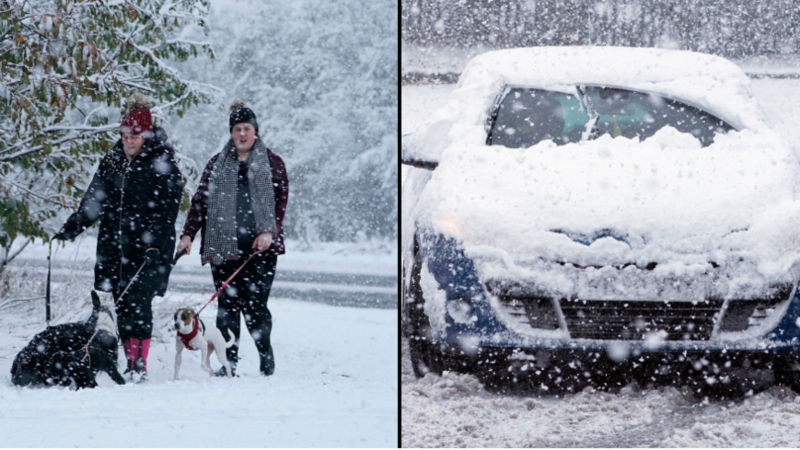 And they got everyone feeling a little bit nostalgic just yesterday by posting a safe driving warning in conjunction with an old Scooby Doo clip, warning drivers to keep a safe distance from those in front. 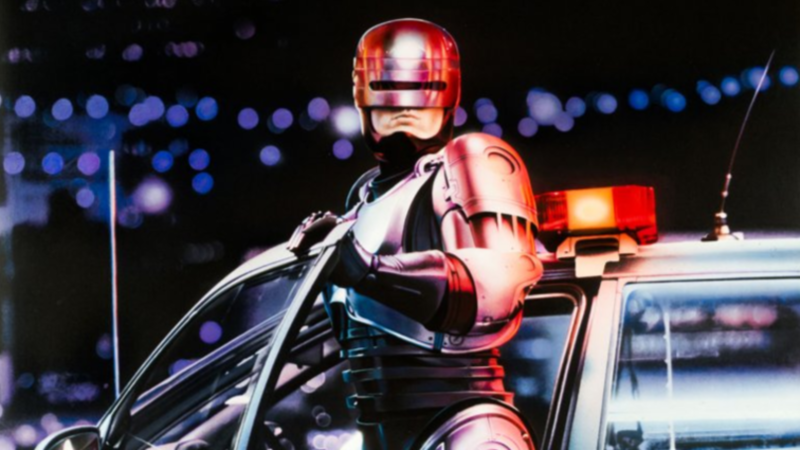 But it would appear Harry Potter is by far the most effective way to get people excited about road safety, with the recent tweet garnering the most attention from the police force&apos;s 4.65 million followers. Yes, you read that right... 4.65 million. 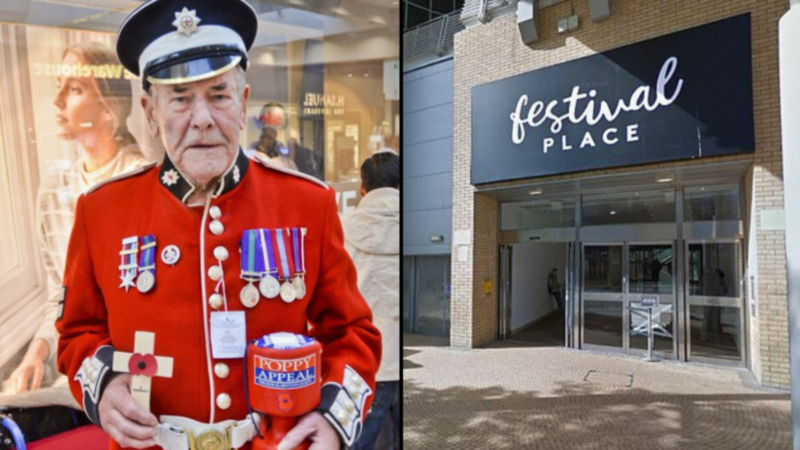 The London Met&apos;s 1.2 million followers pales in comparison - perhaps they should take a leaf out of Mumbai&apos;s book. It&apos;s clearly working for them. 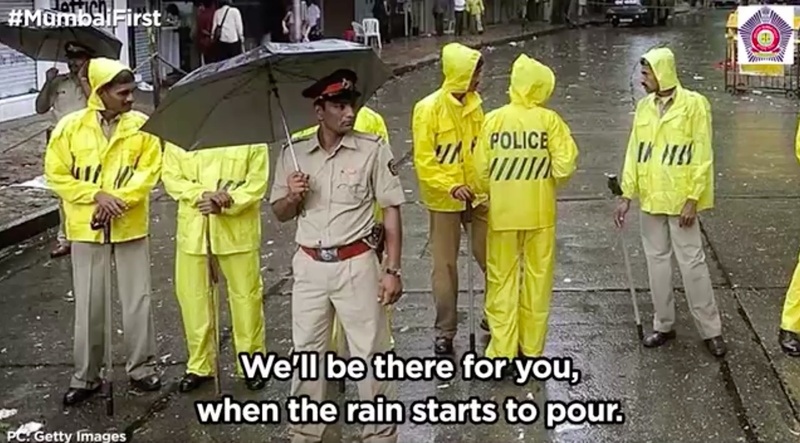 Take note, Mumbai Police: whoever&apos;s in charge of your social media is in serious need of a raise. They&apos;re absolutely killing it.